The loss of Carrie Fisher was a huge blow to those who loved her, both on- and off-screen. Inevitably, it also raised questions about the future of her iconic Star Wars character. We've known for a while that she'd already completed work on The Last Jedi before she died. Now we're hearing that plans may already in place for her to make a posthumous appearance in the upcoming ninth film in the Star Wars saga. Speaking to the New York Daily News, Todd Fisher, Carrie's brother, said that he and her daughter Billie Lourd "have granted the studio rights to use recent footage" of Fisher for Star Wars Episode IX, which is expected to be out in 2019. "Both of us were like, 'Yes, how do you take her out of it?' And the answer is you don't," Fisher told the newspaper. "She's as much a part of it as anything and I think her presence now is even more powerful than it was, like Obi-Wan, when the saber cuts him down he becomes more powerful. I feel like that's what's happened with Carrie. I think the legacy should continue." There's no word when this footage was shot or how it may have to be altered to fit the story. Lucasfilm did not respond for comment by the time we wrote this story, so even though Fisher's family is the source, I'd still consider it a rumour. 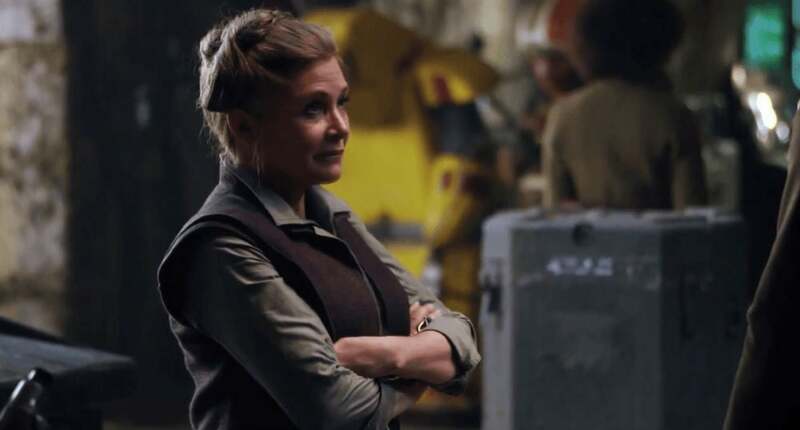 However, several months ago, the company made a rare comment on rumours that Fisher would be digitally recreated in the ninth film, much like she was for Rogue One. We don't normally respond to fan or press speculation, but there is a rumour circulating that we would like to address. We want to assure our fans that Lucasfilm has no plans to digitally recreate Carrie Fisher's performance as Princess or General Leia Organa. Carrie Fisher was, is, and always will be a part of the Lucasfilm family. She was our princess, our general, and more importantly, our friend. We are still hurting from her loss. We cherish her memory and legacy as Princess Leia, and will always strive to honour everything she gave to Star Wars. That makes it sound like footage that didn't make it into The Last Jedi is what the studio will be working with instead. Directed by Colin Trevorrow, Star Wars Episode IX will likely be in theatres Christmas 2019.